AT&T has begun to crack down on iPhone customers who use their smartphones to connect laptops to the wireless carrier’s 3G network without the purchase of a tethering plan, reports OSX Daily. Offending customers, which includes those who use the MyWi unofficial iPHone Wi-Fi hotspot app, have begun to receive letters and text messages indicating that AT&T requires the purchase of a $45-per-month tethering plan to use the functionality in an authorized manner. If off-contract tethering use continues, says AT&T, failure to sign up for a tethering plan will result in AT&T signing you up for one, whether you like it or not. One of the main reasons people jailbreak their iPhones (i.e. remove the carrier-specific restrictions that come with the handset) is to use if for tethering without paying the $45 per month. So far, reports have only mentioned AT&T contacting iPhone users, with no word whether the same applies to those customers using Android devices. Also, AT&T has not indicated that it will retroactively penalize anyone for tethering their phones without a plan. All IP packets have something called a TTL associated with them. It stands for Time To Live. Every “hop” along the network from one router to the next reduces the TTL by one. When it reaches 0, the packet is dropped. This was introduced to keep routing problems from overloading the network. If for example, by some error a packet was going around in a circular path, the TTL would eventually reach 0 and prevent a packet storm. The thing is, ALL routing devices do this. OSes use standard TTLs. For example, let’s say both your iPhone and laptop use 127 for the TTL. AT&T will receive packets from your iPhone with a TTL of 127, but since the packets from your laptop pass through your iPhone first, they arrive at AT&T with a TTL of 126. They can detect a tethered device this way. 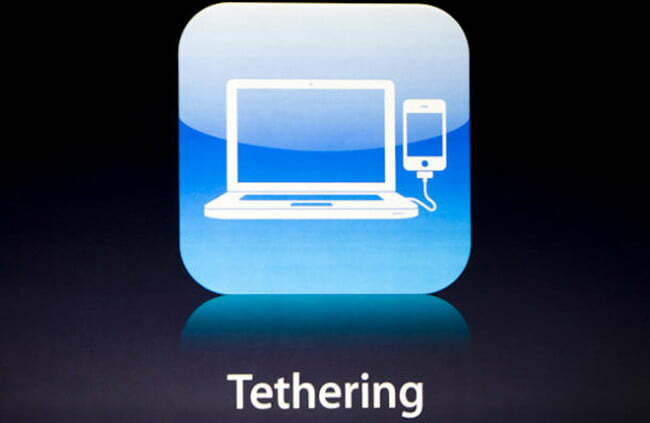 So there you have it — no unofficial tethering, unless you want to pay $45 extra per month for your service.